Thanks to this Russian website we now get to take a look at some character posters for FF:RotSS. And they are … heady. 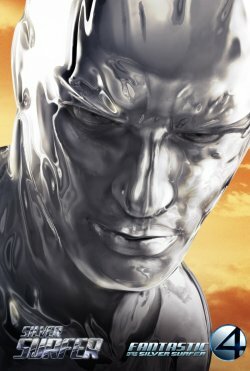 The Silver Surfer one that I posted below looks kind of cool, because the Silver Surfer character looks (much to my surprise) kind of cool. But I doubt this head posters are doing much to anyone besides the most fanatic FF fan.